This is a recipe adapted from my culinary education work book working under Chef John Mckee. It has become my fall back recipe for custard bases of all kinds from ice creams to pastry creams. You can add almost anything as far as flavoring goes to this recipe by steeping spices and teas, adding extracts and sweeteners, or substituting portions of the recipe for others (in the case of chocolate.) I went with the orange blossom (c.o. Silver Cloud Estates) oil this time because I hadn't had too many chances to use it despite its subtle awesomeness. I tried strait orange oil once but it ended tasting a bit much of Froot Loops breakfast cereals. I suppose that in itself may be an interesting culinary finding but... No thanks. Start by washing up thoroughly and separating eggs. There are all kinds of kitchen gadgets out there for this but the easiest and best tool is one you've got already... two actually. Crack your eggs on a horizontal surface (rather than a sharp bowl edge as this can burst yolks) and pour into one hand over a bowl, letting the whites pour through your fingers and holding the yolk steady. This is the gentlest way to do this but by no means the only. Now take the sharpest paring knife you have and make a long shallow cut down the length of your half vanilla bean. Spread out the pod skin ans scrape out the seeds with the sharp of the knife. Add seeds and the pod to your cream in a large put and scald, then turn the heat down to the lowest setting and let it steep for 12 minutes. 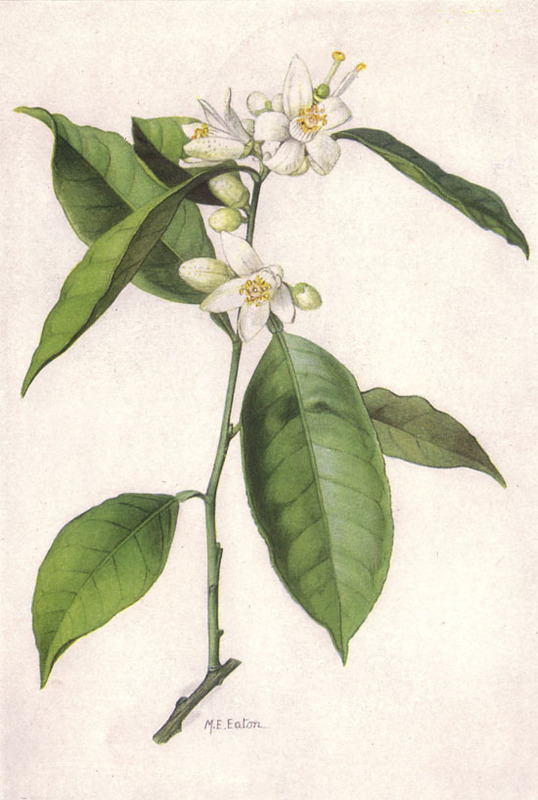 Stir in your orange blossom extract (or whatever extract you like if you went that flavor rout) and bring back to a near scald. Preheat your oven to 325f and prepare a teapot with water for the water bath. Whisk eggs and sugar together. Slowly temper some of the hot cream into the egg mixture by adding just a tiny bit and stirring slowly. This is to keep the hot cream from effectively scrambling the eggs and yielding some pretty nasty results. Slowly add the rest of your hot cream, stirring slowly to avoid forming lots of bubbles. Strain through a medium fine strainer into a clean vessel just in case you get any small bits of overcooked egg. Don't worry if you do, this can happen almost every time no mater how careful you are. Place your clean ramekins in your sheet pan and place on a rack low down in the oven. Pour hot water into the sheet pan to half way up the sides of your ramekins. Work as quickly as possible so as to not let too much heat out of the oven. Bake at 325f for 25-35 minutes until the edges start to set and the center is still jiggly. Remember back to the whole long bit about the Dulce De Leche in a can recipe. Just like the boiled can of S.C. Milk, the water is the cook here. Many baked custards require a water bath too cook evenly and not burn because the chemical reactions inside the custards that form the oh so important creamy internal structure need even even heat. The moisture from the water also keeps the custard from drying out in the heat. Inside every oven is a tiny electronic lier. Well... not so much a lier than an embellisher of truths. When we see 350f on the readout of or oven control or thermo, that may not be the actual temp save for a few times a minute. The temperature of a given conventional oven actually forms a sign wave, varying up to 20 degrees in either direction, maintaining the set temp more often than not but varying none the less. This is where the water comes to the rescue. Water can be boiled over a Bunsen burner in a paper cup because of its very high Specific Heat. 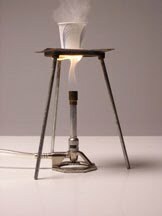 The water absorbs all the heat from the flame and the cup cant reach its flash point. Since the energy required to change the temp of water is high, it has the ability to regulate heat flow between mediums, acting like a thermal buffering system. As the ovens temperature may waver over the cooking time, the waters temp stays more or less the same, distributing its heat to the custard at a slow, even rate, allowing for uniform, stable formation of protein structures in the setting custard. The same thing is true for using a double boiler to set creme anglaise for ice cream or melt chocolate without burning. Water baths as functional thermal buffers allowing for uniform protein gelling in baked custards! it's SCIENCE! Remove from the water bath and let cool at least one hour before you brulee them. One they're sufficiently cool, sprinkle the tops of each generously with bakers sugar and let sit 1 minute. tip the remaining sugar off into a bowl. Sprinkle just enough sugar onto each to form an thin, even second coat. To torch, you'll want to start with the right tools. Many kitchen stores will hype the smaller butane hand torches but they provide a cooler, smaller flame. They look better than a full bore propane torch but they tend to cost more and provide less functionality. 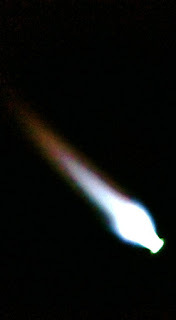 Begin torching with the nozzle tip about 4 inches from the surface you are working with, working from the inside to the outside in small concentric circles. If one spot starts to get too dark, move quickly to the other side of the ramekin and continue. The color is simply a matter of taste so you may have to experiment. These custards will keep, un-bruleed, wrapped, in the fridge for up to a week. These are a great desert for parties and bbq's with their simplicity and economy of ingredients as well as that "Wow" factor when you torch them. Summer is coming soon... Get out there and experiment! 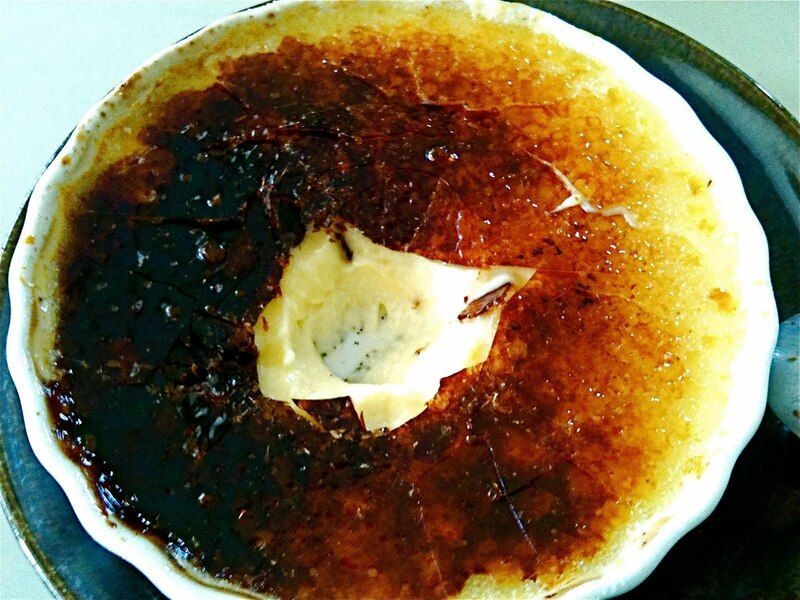 I have always wanted to make my own creme brûlée and now I can thanks to your recipe! If I don't own the magical torch, can I broil quickly? Any tips on that technique? You can also follow the instructions for sugaring then broil on a medium high broil on the highest rack setting for the sugar crust. You'll want to keep about a 4" spacing from your heat source. Be careful and watch your sugar with this method as it can cause the custard underneath to melt or cook. As long as you watch carefully all should work out fine though :) experiment to find the perfect method for your home oven.